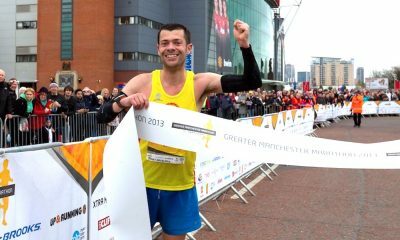 As a two-time Greater Manchester Marathon winner, and boasting a 2:18:34 best, Dave Norman is a well known and respected runner from the north of England. 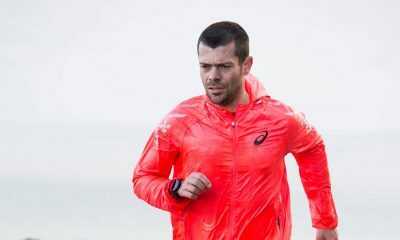 However by his own admission, he has lacked consistency in recent years due to injury and other circumstances, but after making some changes for the year ahead the 39-year-old is keen to get back to his best as he moves into the veteran rankings. 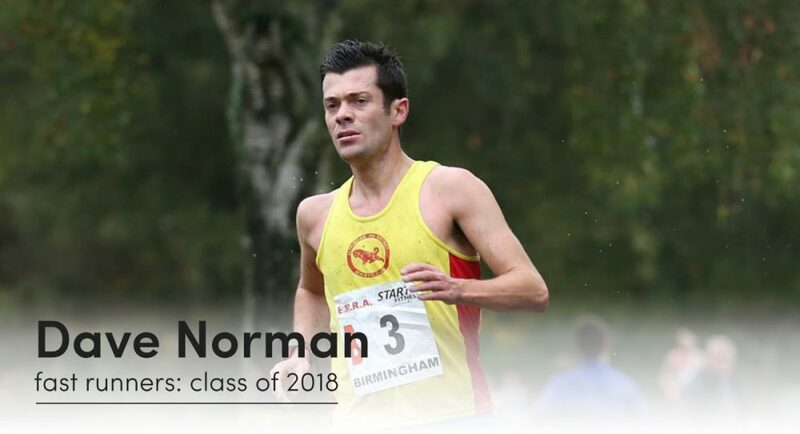 Featuring in the ‘fast runners: class of 2018‘ over the next 12 months, the Altrincham & District runner aims to firstly train consistently throughout the year, to achieve a high veteran ranking over 10k (after he turns 40 in November) and to run a half-marathon for the first time in three years, with a view to returning to the marathon in 2019. My father Jeff represented Great Britain in the marathon at the 1976 Olympic Games and has a best time of 2:12:50. My brother Andy is also an accomplished runner with best times of 14:06 for 5k and 29:36 for 10k. We grew up watching my father competing and used to play a game called ‘Chase the Race’ where our mother would follow marathons in the car trying to watch him in as many places as possible. This was the inspiration us to take up running. 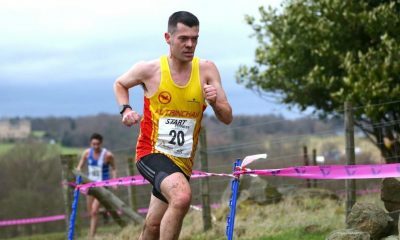 After 24 years of consistent training and racing, I had a challenging 18 months with several injuries and a new job which has involved driving over 1000 miles a week. 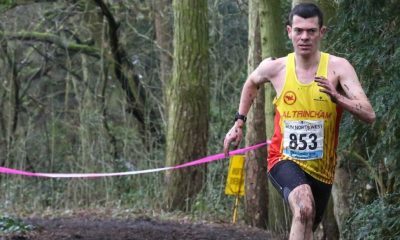 Recently though I’ve made several big changes to try and get back on track with running and will be starting a new job in January based two miles from home, working for Run Northwest with the likes of Ben Connor, Jonny Mellor and Ross Millington. I’ve also recently welcomed Mohammed Abu-Rezeq as a new lodger and hope that the changes made and surrounding myself with some top class runners will help see a return to form in 2018. I run for many reasons. I love the feeling of being fit and coming away from a session or a race knowing I’ve taken a step forward towards my next goal. Running has taken me to many great places and allowed me to meet many great people including some of my closest friends. It has to be said that the running community is bloody awesome. For me, the variety is what appeals to me. Three sessions we regularly do which I enjoy are 14x400m on the track (40secs rest), 3x10mins on the grass (2mins rest) and a road session of four reps (approx 1800m long) around the car parks at Sportcity in Manchester. Anything with excessively long recoveries. You don’t get any recovery in a race and I’ve always been a big believer in relatively short recoveries. Spaghetti with some spinach and a small amount of chicken. If the race is local, there’s this brilliant carvery near to where I live which I like to visit to refuel. I love British runners who get stuck in and show no fear. Callum Hawkins, Dewi Griffiths, Ben Connor, Marc Scott and Andrew Butchart all fall into that category. But if I had to choose one it would be Chris Thompson. The resilience Chris has shown to come back time and time again is inspirational and he was running close to his best in 2017 which was fantastic to see. The Christie – a charity that provides enhanced services over and above what the NHS funds.